Apple has just confirmed that it will kick off the yearly Worldwide Developers conference on June 6th like last year. 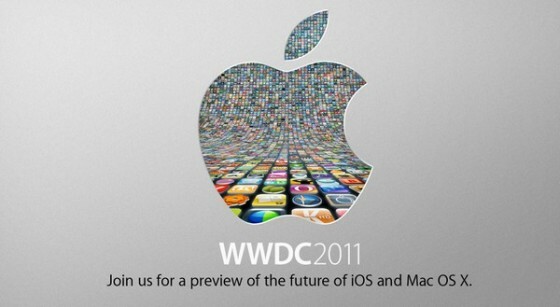 Hopefully we will get the announcement for the iPhone 5, apart from the new iOS announcement and the obvious MAC OS X LION. Either way we will be covering all key events for you guys, and if there is a KeyNote by Apple (and Mr. Steve Jobs) we will cover it LIVE! CUPERTINO, California-March 28, 2011-Apple® today announced that it will hold its annual Worldwide Developers Conference (WWDC) June 6 through June 10 at San Francisco’s Moscone West. At this year’s five-day conference Apple will unveil the future of iOS and Mac OS®, including exciting demonstrations of the new kinds of apps that developers can build using Apple’s advanced frameworks and more than 100 technical sessions presented by Apple engineers.